We are midway through summer now in Jamaica and The Bahamas, and of course, it’s blazing hot in the Caribbean. 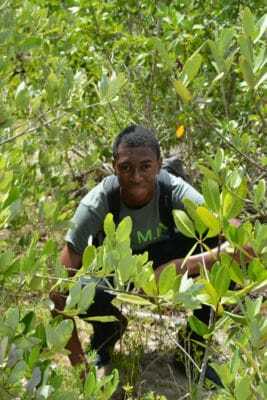 I can’t help but wonder – how are the mangrove propagules (seedlings) doing that the students in our Mangrove Education and Restoration Program planted just a little over 2 months ago? Are they adapting well to the high heat and salinity levels? Will they survive the harsh summer months? To wrap up the final phase of this year’s B.A.M. and J.A.M.I.N. 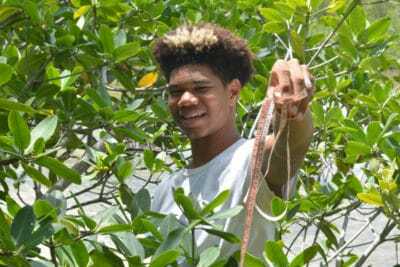 programs, students in our year 1 program had a wonderful time going back to the mangroves to plant the propagules that they have been caring for over the past eight months. There was a sense of sadness among some of the students who found it difficult to let their “babies” go. 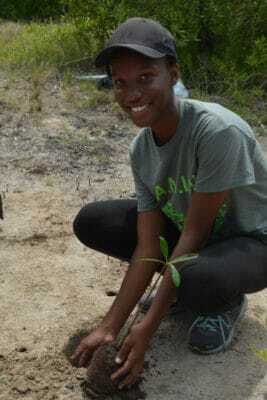 Others, however, were overjoyed to plant their propagules, in hopes of contributing to the preservation and restoration of the mangrove ecosystem. Next year, these students will participate in our year 2 programs. Students in our first year J.A.M.I.N. and B.A.M. programs planting their mangrove propagules. 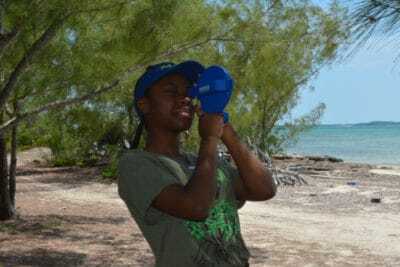 Our second-year students returned to the mangroves to survey their quadrats for the last time. The students will analyze this data and look for trends that might explain what happened in their quadrats over a period of eight months. For instance, did the mangrove trees grow from September to May? If so, by how much and why? 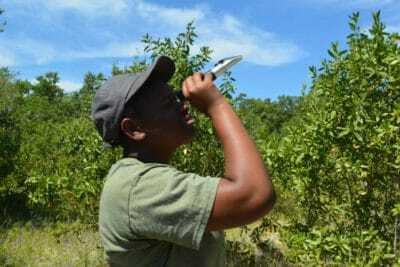 Did the dissolved oxygen change and why? Students will answer questions such as these and then they write up a short lab report explaining their results. Our year 2 J.A.M.I.N. and B.A.M. students investigating the living and non-living factors in their mangrove quadrats. Only time will tell as to whether the students’ propagules will survive, but one thing is for certain, the students in next year’s B.A.M. and J.A.M.I.N. programs will monitor the progress of these mangroves throughout our year 2 programs. 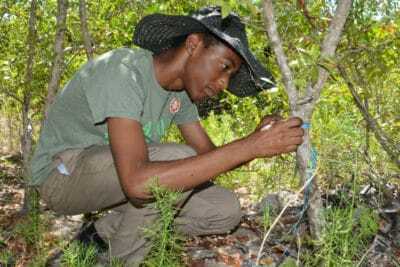 And so, the cycle of growing, planting, and monitoring mangroves continues. In our following blogs, find out what the students have to say about our B.A.M. and J.A.M.I.N. programs.